The Tenth edition of the Archetypal Podcast takes us to meet The Hermit, a figure waiting off the beaten track with the wisdom that only remote regions can give. Card number 9 allows our hero traveling through the Major Arcana to either meet or become this humbled figure full of in-sight, as represented by his seeking lantern. A re-evaluation of his journey is required after a run-in with the objectivity of Justice, before he can once again chance the Wheel of Fortune (Card number 10). 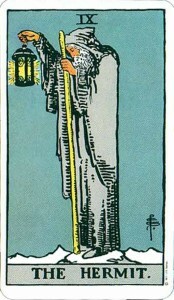 Consideration of this card allows us all a moment to reflect without being sucked into eternal isolation – the shadow side of the Hermit. Fresh from a (hot) visit from her hometown of Joshua Tree, California, Cyndera shares fresh inspiration after encountering an old friend who embodies the Hermit archetype. Julienne takes us on a tour of the hermitic nature of the American literary Renaissance along with some insights on the Hermit from film and popular culture. Henry David Thoreau (esp his book Walden) there is a great podcast about Thoreau from the public radio program ‘To The Best of Our Knowledge’. Buddhist teacher, Pema Chodron, author and Catholic mystic Thomas Merton, poet Emily Dickinson, naturalist John Muir Also of interest is the Hermitary website filled with even more insight on the Hermit archetype. 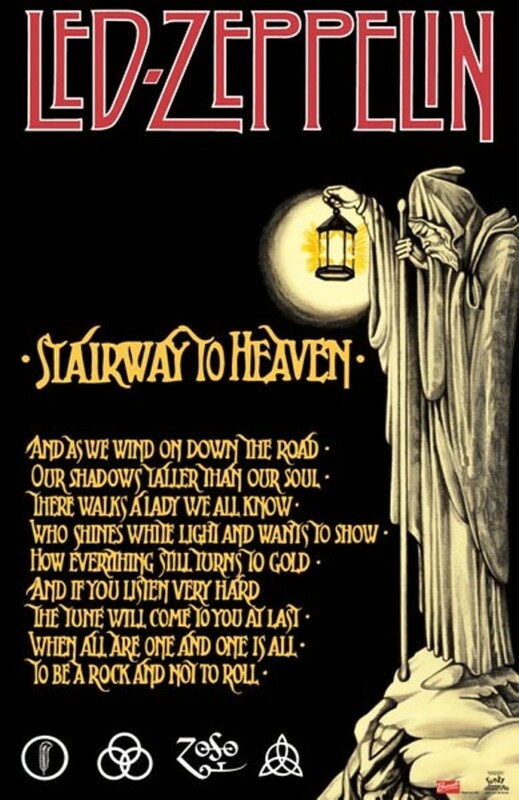 I also found it amusingly appropriate that Led Zeppelin used the image of the Hermit for their single ‘Stairway To Heaven’ which carries lyrics capturing the ideas of the Hermit’s quest. Like what you heard on the podcast? Share us on Facebook (handy button below) or give us a review on iTunes.